Chelsea midfielder Cesc Fàbregas insists he is happy at Stamford Bridge despite the fact his future has yet to be resolved. The 31-year-old is out of contract in the summer, with the London Evening Standard reporting he will have to wait until the new year for talks over a potential stay. 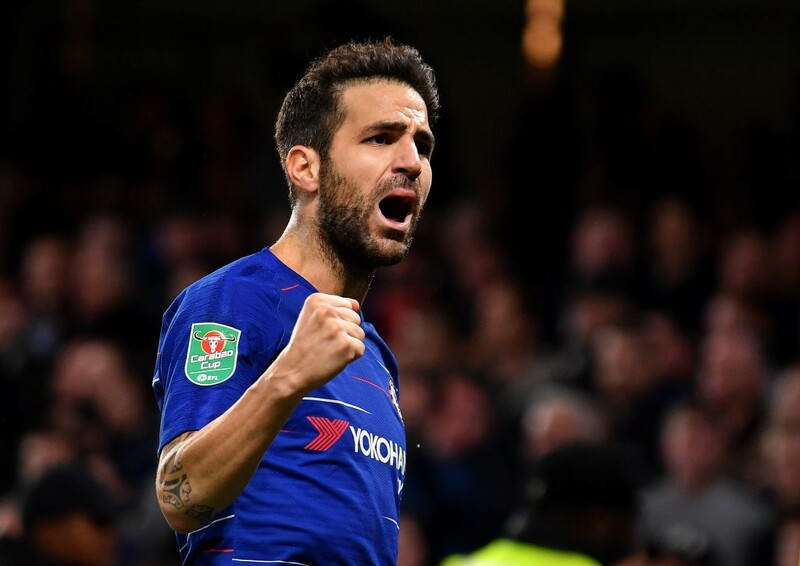 As well, the newspaper claims Fabregas, one of the club’s highest earners, will have a to take a ‘significant paycut’ if he wishes to remain in Maurizio Sarri’s squad. However, the former Barcelona and Arsenal star has not been fazed by the lack of contract discussions but admits he will have to look at his situation if he does not get a run of games in the Premier League. Having played primarily in the Europa League, he started Chelsea EFL Cup clash against Derby and scored in the 3-2 win and believes he still has a lot to offer. “I still believe in myself a lot and think I can add so much to this team,” he told the London Evening Standard. “Let’s see what happens but I am happy here. “In life, not just football, timing is the most important thing. You don’t have to rush decisions, you don’t have to talk before things happen. At the moment I am playing once a week. The Blues, currently third and two points off the Premier League top spot, host Crystal Palace on Sunday.